Mulberry tea is the tea which is extracted from the mulberry tree leaves. It is an inherent to Asia but now it is cultivated worldwide. Black mulberry and White mulberry are the most known species among the 10 species. The leaves are harvested in autumn and dried for making tea. The records of 3000 years of cultivation of mulberry trees are found in China. The mulberry tree was used by an ancient Chinese for food, papermaking, silkworms and its medicinal qualities. The Traditional Chinese Medicine uses mulberry leaf to assist in improvement of vision, clearing liver, expels wind and clears heat. It also aids dizziness, dysentery, supports liver function, sustains youthful skin, cough and cold symptoms, promotes healthy blood, treats stomachache and strengthens eyes. Mulberry teas possess the minerals and vitamins which help to prevent the health ailments such as weight loss, diabetes, cold symptoms and blood vessel problems. In 2006, International Journal of Food addresses that iron, calcium and zinc is possessed in mulberry leaves. The antioxidants such as beta carotene and ascorbic acid are also found in mulberry. The antioxidant helps to eliminate the free radicals. According to the PubMed Health, the beta carotene rich foods and drinks help to lessen the chances of cancer. The increase in blood vessels causes the Type 2 diabetes. According to the American Journal of Chinese Medicine which was published in 2012 summarizes that the presence of gallic acid reduces the blood glucose. In 2007, The Diabetes Care reports that the diabetic patients who drank the mulberry extract, their glucose spikes was reduced after consumption in the first two hours. The scientists achieved that the mulberry treats diabetes as well as prevents it. In 2013, “BioMed Research International” published that the mulberry leaf powder helps to lower triglyceride and LDL cholesterol levels, if the patients were given 280 grams for three times regularly for three months. The mulberry leaf tea helps to lower cholesterol and triglycerides. In 2013, the study published in Journal of Functional Foods summarizes that the inflammation caused by chronic diseases are also treated by the mulberry leaf. In 2010, the research made on rats with induced paw edema found that the inflamed paw tissue was prevented when they are provided mulberry. The mulberry leaf helps to reduce inflammation and ease the pain. Mulberry tea is used to treat the liver and conditions. It treats headache, cough, painful eyes, fever and sore throat. The development of bacterial strains is prohibited which helps to prevent from strep throat. The cold symptoms could be recovered by drinking mulberry tea. It eliminates the bacterial growth. 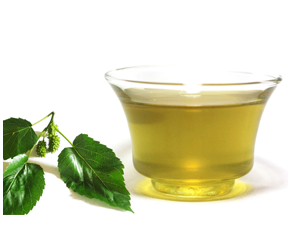 The mulberry tea prevents from the absorption of carbohydrates due to the presence of moranoline (1-deoxynojirimycin). It helps the body to flush out the carbohydrates and starches from the body so that it does not turn to glucose. The hunger is reduced by diminishing blood sugar levels. This leads to achieve the weight loss objectives. The mulberry tea helps to reduce the chances of atherosclerosis by lessening the oxidization of cholesterol in blood vessels which is due to the presence of flavonoids and quercetin in mulberry leaves. It helps to prohibit the oxidative stress reactions. The mulberry tea should be consumed daily for the healthy blood vessels. The magnesium is essential for functioning of nerves, muscles and maintains normal heart. It increases energy metabolism, strong bones, assist immune system, manage blood sugar levels and maintains normal blood pressure. The mulberry tea prevents diabetes by restricting the high amount of monosaccharide to enter into the circulation. The weight problems are also eliminated as it blocks the unwanted excessive sugars from entering to the blood stream. The mulberry leaves prevents from the type 2 diabetes by maintaining the control over blood sugar level. The mulberry tea can be enjoyed hot as well as cold. It is available in loose leave as well as prepackaged. The tea bags should be steeped for at least 3-5 minutes and loose tea should be steeped for at least 8 minutes. The carbohydrates blocking effects should be maximized by avoiding the tea sweetening. The mulberry leaf tea helps to prevent the cholesterol-rich plaque buildup in the arteries which is also known as atherosclerosis. 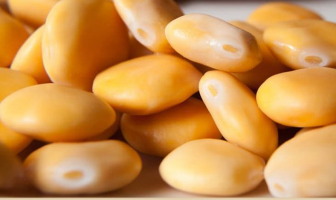 It restricts the oxidation of LDL cholesterol. The study on humans and mice states that the primary agents are astragalin and isoquercitrin. The presence of Vitamin B2 helps in the production of red blood cells, manages reproduction and growth, energy production, manages thyroid activity, eliminates acne, conserves the nervous system, healthy eyes, minerals absorption, preserve the digestive tract and assists in healthy pregnancy. The mulberry tea possesses the high content of Vitamin A which helps to enhance the eye sight and eliminate the eye strain. It helps to prevent from eye sight loss and retina degeneration. It also helps to get rid of blemishes and dark spots on the skin. The skin issues could be treated by soaking the mulberry tree leaves for about thirty minutes in the hot water. It can also treat dry skin. The mulberry leaves if added to hot bath and saunas helps to open the pores as well as detoxify the body. It boosts the hair growth and makes it healthy. The Mulberry tea possess compound 1- deoxynojirimycin or DNJ which provides an anti-diabetic effects and antioxidant properties and lessens the cholesterol and inflammation. The antioxidant such as beta carotene and ascorbic acid helps to prevent the cellular damage caused by free radicals. The risk of cancer can be eliminated by consuming the food and drinks which are rich in beta carotene. Mulberry juice contains antioxidants, vitamins and minerals. It also possesses the curative properties. It boosts the blood circulation and lessens the blood pressure which leads to the less chances of blood clots and strokes. The signs of anemia could also be eliminated from the mulberry juice. The mulberry tea boosts the circulation, cleanse the blood and strengthen the system. It calms the nerves and enriches the blood. It purifies the liver and reinforces the kidneys. It also speeds up the recovery process. It reduces the bad cholesterol and prevents the blood flow blockage which helps to eliminate heart attacks and strokes. It boosts the immunity and balance the internal production. The record for the cultivation of mulberry leaves was found to be over 3000 years. In the “Book of Songs”, one find out that the mulberry leaf was used to raise the silkworms, papermaking through mulberry bark and fruits were used as fruit. The ancient Chinese found the mulberry tasty with no side effects. The mulberry leaves were substituted for the regular tea by the Scholars in China to sustain the youthful skin. In Japan, mulberry leaf was used to cure the diabetes. The mulberry tea was developed by the Central Institute of Silkworm Industry in Japan because of its rich content of vitamins, minerals and protein. They also noticed that it boost the metabolism and eliminate fatigue. In Japan, mulberry leaf is included in the sweet cake buckwheat noodles and rice noodles. The health benefits could be obtained from the Mulberry Tea which is processed without artificial fertilizers and pesticides. The loose leaf Mulberry tea should be selected because it consists of all the essential oils which lacks in the tea bags. The high quality loose leaf can be reused up to four times without losing its flavor. It can be added to the recipes after preparing tea from them. The pure water about 200 to 250 ml should be boiled. The pot should be placed one teaspoon of Mulberry leaf. Then water should be left to cool down. The water temperature should be around 160 to 200 degrees F (71 to 93 C). The little water should be poured over the leaf to rinse. The pot should be filled with water and it should be steep for 3 to 5 minutes. Then pour, serve and enjoy. This herb cures the high blood pressure, high cholesterol, weight loss, cold symptoms, and diabetes. Some cautions should be taken into consideration to eliminate the side effects. The licensed health care provider should be consulted before using mulberry leaf to treat any conditions. The blood sugar could be lowered by drinking mulberry tea. The low blood sugar leads to hunger, headache, tremors, blurred vision, dizziness, excessive sweating and confusion. The one should seek for medical advice, if these side effects are experienced while drinking mulberry tea. Those who are taking the medication of diabetes should avoid the mulberry tea. The medication may interact with the mulberry tea to increase the chances of low blood sugar or hypoglycemia. The licensed health care provider should be consulted before drinking mulberry tea. The contact with the stems or leaves and sap of the tree may cause the irritation to the skin. The mulberry products should be discontinued to use and seek for the medical advice, if one experiences rapid pulse, breathing difficulty, wheezing and swelling. The kidney patients may feel discomfort due to the high presence of potassium. So it would be better to avoid the mulberry tea by the kidney patients. Those who are breast feeding, pregnant or are undergoing for surgery within next two weeks, should avoid drinking the mulberry tea.